It’s high time that you truly engage your audience. Not in the traditional way, but by using real-time content that inspires and nudges them in the right direction. You have a choice to make: you can either learn how to produce a variety of content that supports your customers, or you can hire experienced copywriters to do it for you. There are thousands of writers available for hire. But, finding the professional writer who truly understands how to grow and nurture an audience is difficult. Custom content plays a vital role in the lead nurturing process. Not every type of content will successfully engage your audience. Are you in content marketing? Check out this advanced guide to custom content marketing. You need content that brings satisfaction to your customers. 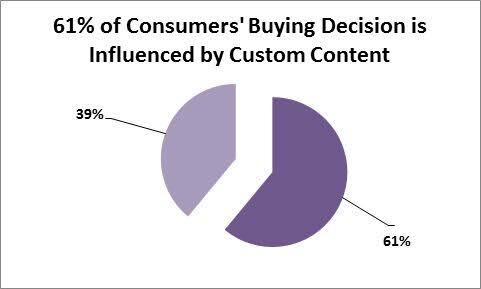 And, according to the Custom Content Council, 61% of consumers say they feel better about a company that delivers custom content. They’re also more likely to make a purchase from that company. And, 90% of consumers find it helpful. Have you ever read some post by a popular blogger or writer, telling you to create “valuable content?” Did you wonder “what does that mean?” After all, what’s “valuable” is entirely relative. What I consider to be a valuable blog post may sound like crap or regurgitated content to you. One way that you can stand out in the midst of intense competition is by focusing on creating custom content. No need to worry, because I’ll walk you through the 3-step process. Custom Content — pioneered by folks like Pohly & Pohly over 50 years ago with the airline magazine — was typically the creation of content meant to build an affinity with your existing audience. This content would reinforce the brand, communicate the value of the product and create new opportunities. 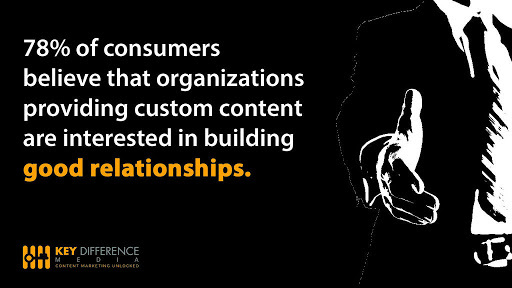 Custom Content is the creation of ‘branded content’ for a customer. And, for the most part, custom content is created for the client to communicate with their own existing customers. Both content marketing and custom content are customer relationship processes that require unique and well-crafted content. Whichever approach you take, you need to invest either your time or money in content creation. Marketers are increasingly committed to spending more on content creation. It’s estimated that 64% of marketing pros will increase content creation time, effort and resources this year. But, what exactly is the difference between custom content and content marketing? Honestly, I agree with many digital marketers that several of the terms used in our industry are really pointing to the same thing. That’s true here, too. Many people view content marketing as “the new term” for custom content. 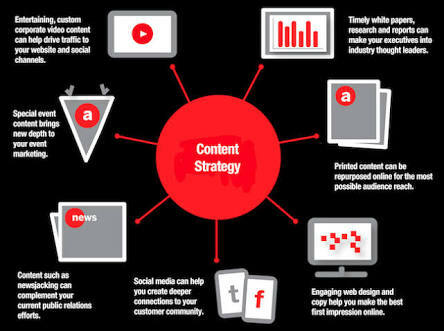 Branded content, custom media, consumer media, brand journalism, customer publishing and content marketing are some of the inter-related terms that people use when describing what it requires to produce the most valuable content for customers. However, I think it’s a mistake to view custom content with the exact same lens as content marketing. Custom content is often tailored to suit the targeted audience that you’ve already built. Content marketing is usually “outward facing.” In other words, it’s about creating and publishing useful content that will attract new prospects and customers for your business. On the other hand, custom content is focused not on attracting a new audience, but rather on engaging the existing one. For example, Moz usually creates custom content for their existing site users and premium members. This type of content will be of little benefit to new visitors who first visit the site. Now that you know the difference between content marketing and custom content, as well as the relationship between the two, you may be wondering why you need to create custom content. i). It bridges the gap: Most customers give up when they search Google for answers related to a particular product they use and find no relevant search results. But, when you tailor your custom content to answer popular questions within your niche, you’ve successfully bridged the gap. That helpful combination of environment and circumstances will encourage your existing customers to stay. Here’s an example of what I mean: Evernote. This company understands how to bridge the gap and provide helpful answers to its existing users. Just recently, the company shared a post, titled “Taking Notes: How To Create Commonplace with Evernote,” to answer its users’ questions. Many brands have a Frequently Asked Questions (FAQs) page on their site that helps existing and interested customers understand how the product works. Other companies refer to the same type of page as the “knowledge base.” From the label alone, you can tell that customers will find more information about the product than new site visitors. AWeber’s knowledge base page is in-depth, useful and well-formatted. If you already have customers or a loyal audience with questions and you’d like to provide better answers to, you might want to scour Quora for those questions. When you find one, create a video out of it, or a blog post, an in-depth article such as this one or perhaps an infographic. The opportunities are almost endless. ii). It provides much needed help to existing customers: The success of every online business depends on how well you help customers when they need it. When you create resourceful guides, you position yourself as an authority. And, you set your business apart from the crowd. My advanced guide to SEO has created a deeper connection with my blog readers. How do I know? After publishing these advanced guides, my blog engagement increased dramatically. Specifically, comments on QuickSprout went from 50 to 200 per post, in many cases.
. In other words, go beyond creating content. Start giving useful answers that take your prospect from point A to point B.
iii). It nurtures a loyal audience: Content marketing is your secret weapon for attracting a new audience. But, it’s not enough to attract them. You’ve also got to nurture and retain them. It’s estimated that a 5% increase in customer retention can increase a company’s profitability by 75%. This makes sense when you factor the costs of finding a new customer versus retaining an existing one. So, how do you retain the customers that you acquired through content marketing? The answer is obvious: Create useful content that’s tailored to them. Answer their questions and provide a killer post-purchase customer service experience. That’s what custom content is all about. Custom content that shows the user/customer how to achieve better results with the site, software, product or tool that they already use will most assuredly engage them. If they’re engaged, they’ll stick around. The slide presentation below is a tutorial that shows Slideshare users how to create great slides. After viewing these slides, I was inspired to create a new presentation. iv). Custom content leads to improved visibility for brands: Like I’ve said from the beginning, the goal of using either content marketing or custom content or a combination of both, is to attract and satisfy the customer. Satisfaction will make customers purchase again, refer others to your site and use your product to solve their problems, instead of switching to your competitors. Your brand is your identity online. In this information age, prospects and customers may not know who’s behind a great product, but the brand will always be known. As an example, the majority of the people I’ve come across don’t know the founder(s) of the Coca-Cola brand. But, that doesn’t stop them from buying Coke products frequently. It’s all about the brand. When you create useful content that’s custom-made for your audience, you give them an open invitation to tell others about your brand. If you can successfully improve your personal brand online, you’ll increase traffic, sales and revenue. 1. Understand your customer’s persona. With your existing customers in focus, map out their persona. A persona is not merely a description of your customers, but the actual or perceived qualities that they have. To gain a deep knowledge about your audience persona, you need to dig for insights into what your customers think about when doing business with you. What do they expect to gain by sticking with your brand? Don’t take this information for granted, because it’s the substance (or essence) of their loyalty. When developing a standard buyer persona that will help you deliver your custom content more effectively, you should include the customer’s background, demographics, goals, challenges, common objections and biggest fears. At a glance, you can see that creating suitable content for Frank is much easier now, because of the information about him that you’ve identified. No matter what your niche is, start by mapping out your customer’s persona. It’s easy to get your customer’s demographics if they’ve purchased your product or service. It’s even easier when they’re in your discussion group or membership site. 2. Research and target customer-centered keywords.
. Generic keywords just won’t get the job done. For example, when I’m looking to create useful content that will help my existing users on KISSmetrics achieve a desired result, I’ll look for branded keywords or customer-centered keywords that are closely-tied to site analytics. Armed with branded keywords, as well as other search terms that will answer a specific question for the user, I can create custom content that benefits the immediate users and ranks highly in Google’s search results. 3. Produce irresistible content in the most desired format. If you want custom content to work for your business and engage your customers, then you’ve got to make it irresistible. One of the reasons why 54% of B2B marketers struggle to produce engaging content is because they haven’t really taken the time to study their audience. Your site is by you, but not for you. So, creating content of any format should be inspired by your users and customers. No matter what type of content they want or need, ensure that you use the AIDA formula to make the content persuasive. There are customers who prefer videos over written content. Others would go all out to view and share your infographic. When you’re confused as to what content format to produce, ask the question. What content format do you enjoy? Always focus on and work primarily with the content format that your audience prefers. A word of caution: If you prefer written content (e.g., blog posts, articles), but you found that most of your customers want visual content, then you need to adapt and find a way to incorporate more visuals. It’s your responsibility. Don’t forget the marketing aspect of custom content. If your existing audience is small, it won’t matter how much time, resources and creativity you put into producing your content. You won’t get the maximum benefit.